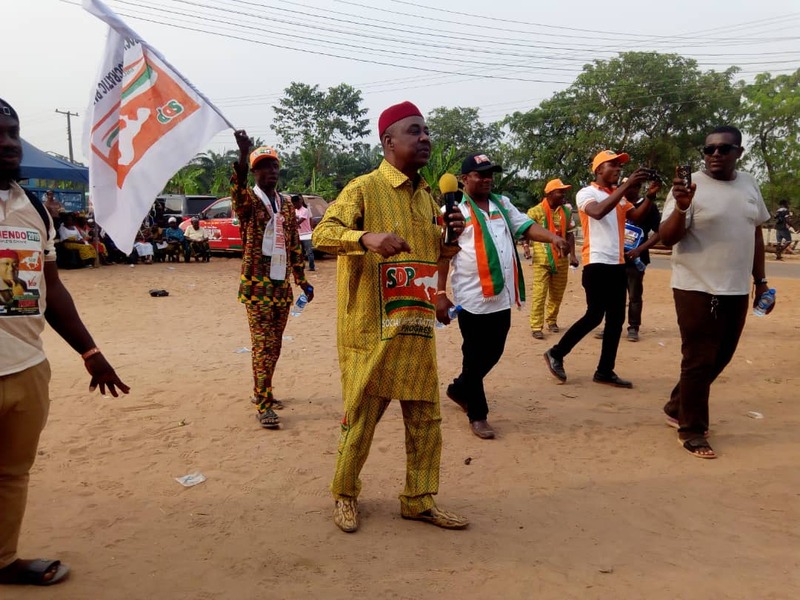 House of Representatives candidate of the Social Democratic Party (SDP) in Awka North/South Federal Constituency, Chief Godson Ezenagu (Ochendo), on thursday, commenced ward-to-ward campaign ahead of the February 2019 election coming up in less than a week's time. 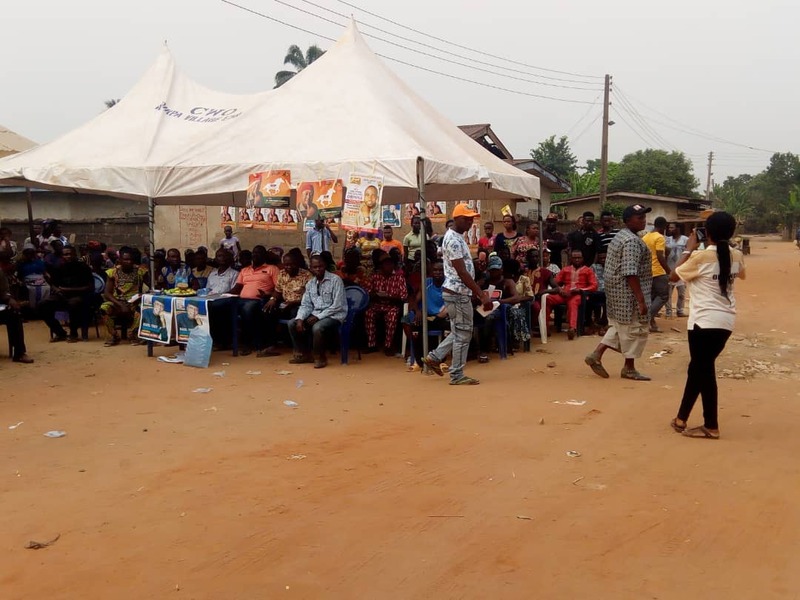 The campaign tour which kick started in Awka South first stopped at Ezinato, before moving on to Isiagu and then rounding up at Umuawulu for the day. 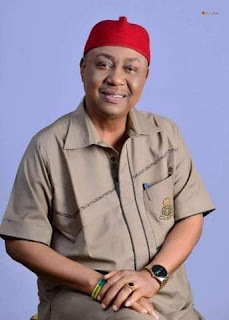 Speaking with newsmen, shortly after paying homage to the Igwe of Umuawulu and his Cabinet, Ochendo, said the warm reception he received from the people during the tour indicated they were ready to reclaim the mandate “stolen from him” while in the All Progressive Grand Alliance (APGA). 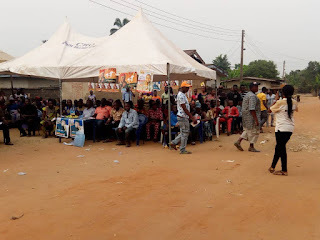 He added that the tour has further opened his eyes to the needs of the rural dwellers and promised to as a matter of priority, solve challenges of deplorable roads and water scarcity in the area, if elected. Ochendo equally promised to ensure that the abandoned N200m farm settlement project at the College of Agriculture, Mgbakwu will be restarted to ensure that young men and women, especially of the rural communities are gainfully employed. “And that’s what you have seen all over. People are coming out genuinely, ready to actualize and uphold that mandate that was given to me. That’s what we are seeing all over. People are happy. “What you are seeing is just a product of 24 hours notification. We didn’t have two or three weeks to plan. So, I am really happy with what we have seen. That tells you what is going to happen on February 16, 2019. “No man can give everything. What we are going to do are those essential things – road, water, electricity among others. I will also explore the avenue of using Agriculture to create employment in Awka. As a a two-time Commissioner of Agriculture in the state, i am in a better position than anyone else to understand fully the benefits which Agriculture can bring in an area. That is why i will fight tooth and nail to make sure that the 200million Naira Federal Government farm settlement project abandoned at the College of Agriculture, Mgbakwu will be restarted. “This is because if completed, the facilities in that settlement will empower and ensure young men and women are gainfully employed.